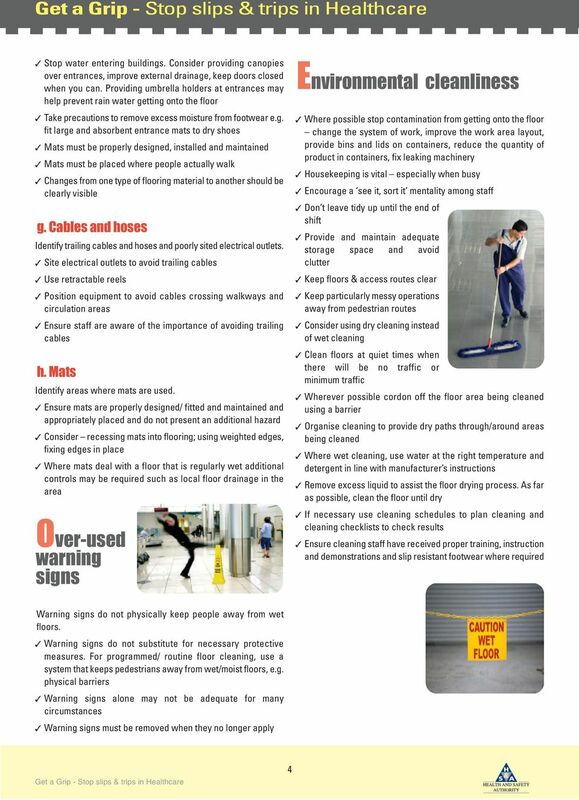 Employees have an important role in preventing slips, trips and falls. 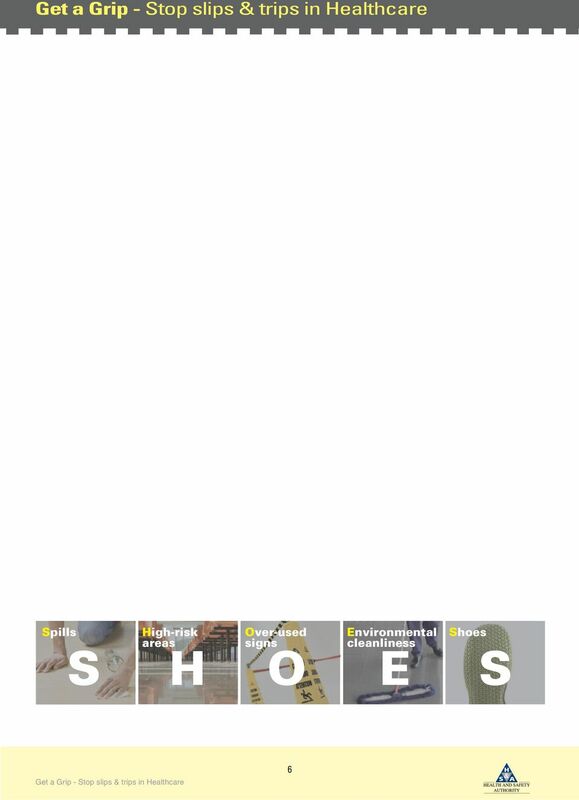 Download "www.hsa.ie Employees have an important role in preventing slips, trips and falls." 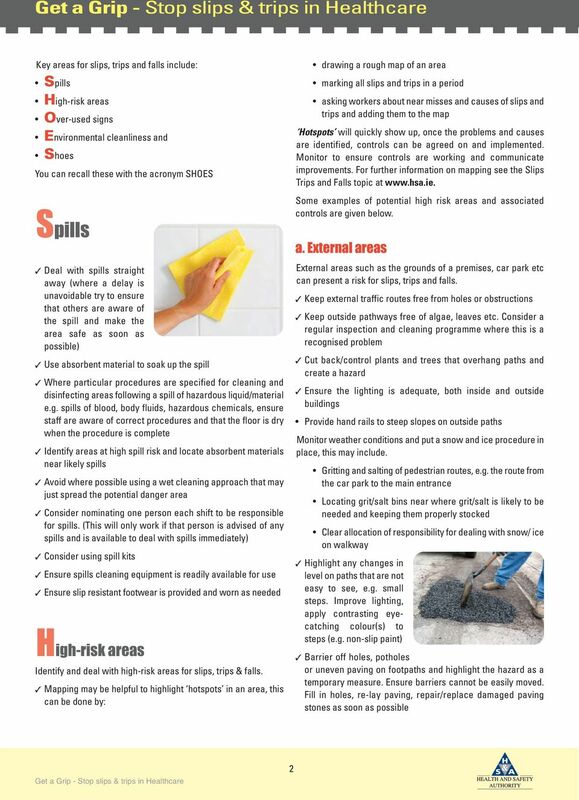 Preventing slip and trip incidents in the education sector HSE information sheet Education Information Sheet No 2 (revised) Introduction This information sheet is aimed at head teachers and school managers. Technical Resource Guide 20061 --- SLIP, TRIP AND FALL --- Alabama Self-Insured Worker's Compensation Fund SAFETY MANAGEMENT CONTROL PLAN. 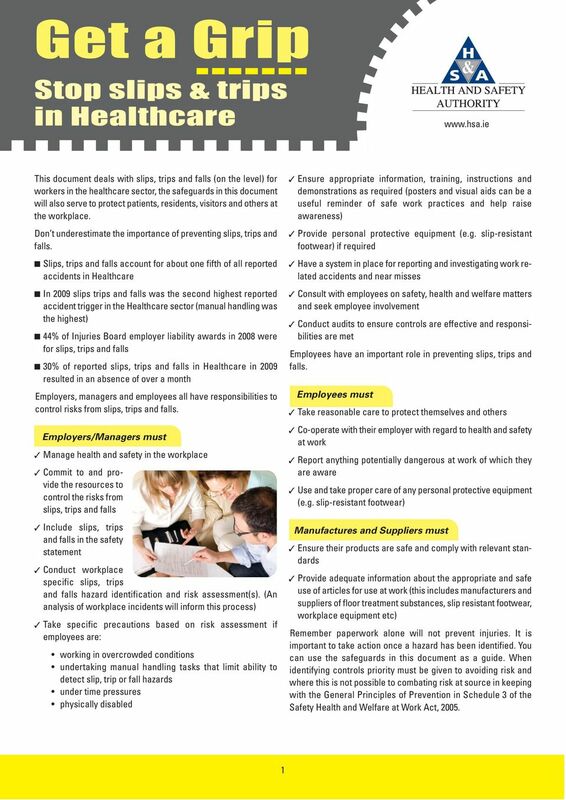 SMALL BUSINESS SAFETY CHECKLIST CHECKING OUT YOUR WORKPLACE JULY WorkCover. Watching out for you. 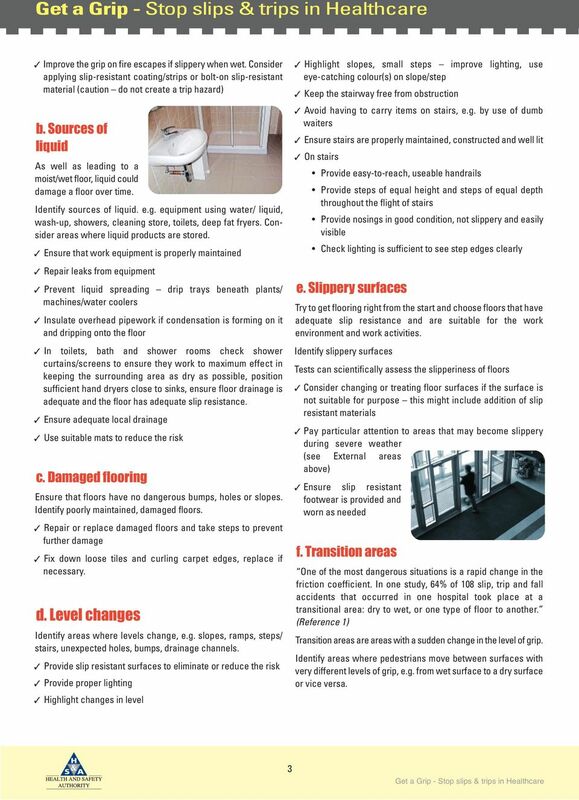 Safety in Offices and other General Areas 1. 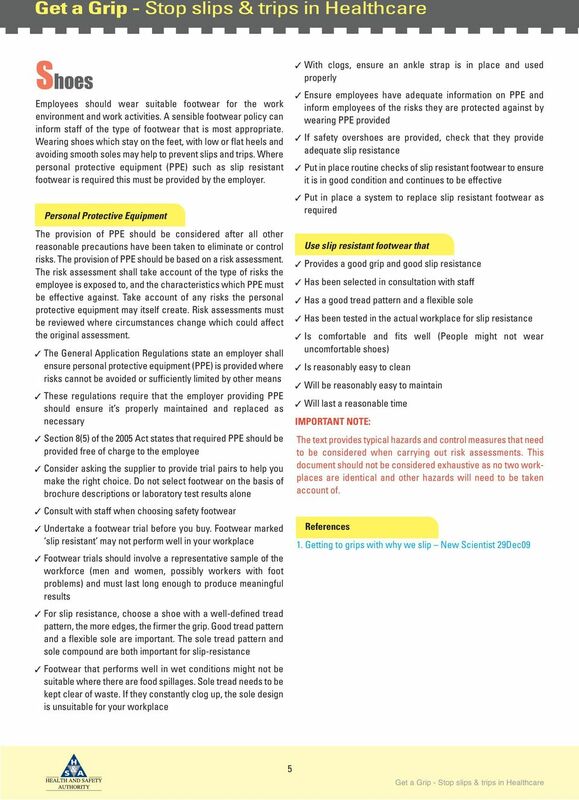 INTRODUCTION This document covers health and safety in offices and other 'general areas' including corridors, stairs, entrances, small kitchens and rest areas.